A modern art deco addition to any home, the handy hands bookends are designed to add contemporary flair and character to your bookshelf. Presented as a set of two elegant hands with a fresh and flawless manicure, the metal bookends are made from a zinc alloy and measure height 19cm x width 12cm. 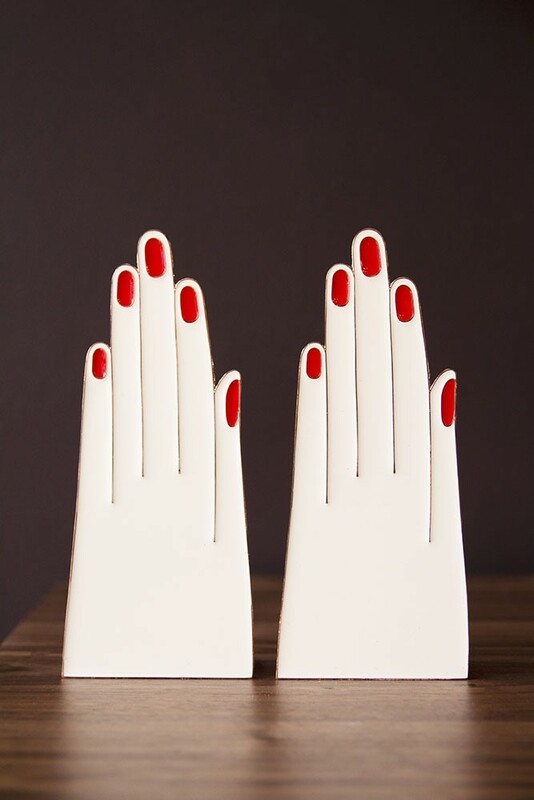 As firm believers that the more practical pieces in the home deserve to be both bold and beautiful, we love the Handy Hands Bookends for its quirky design, destined to liven up any interior! Featuring a soft white colour palette with a pop of bright red nail varnish for a kitsch style statement, the hand bookends add playful charm to the classic library look. 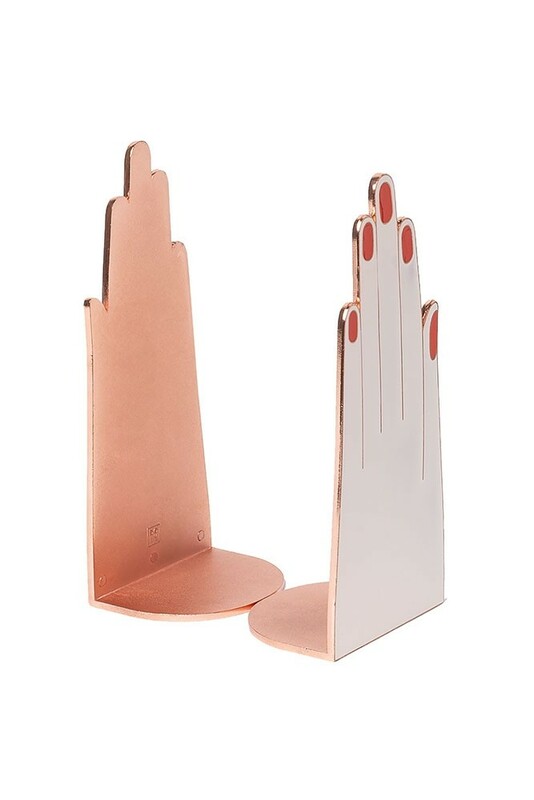 Fabulously female and finished with a chic rose gold interior, the handy hands set of bookends are the perfect gift, either for yourself or a fashion-forward friend. 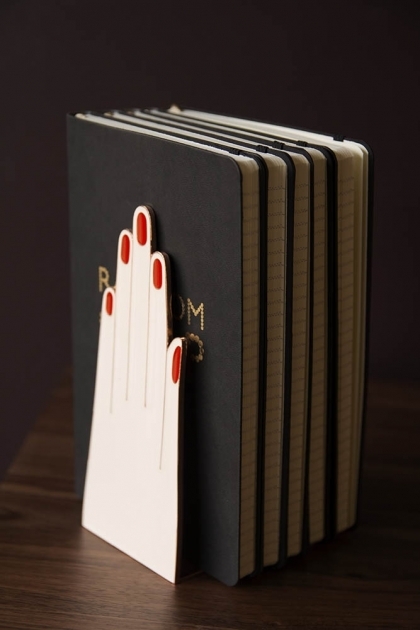 Not limited to the bookshelf, the Handy Hands Bookends look amazing just about anywhere in the home. Style the bookends on the mantelpiece with a handful of your favourite books, introduce a pop of colour and fun to your cookbooks in the kitchen or place the handy hand bookends in kids’ bedrooms to keep notebooks neat and tidy.